I know J started a thread already, but it's like tradition for me to start one, so too bad! Congratulations to Kamino Base, proudly serving CT and RI. Do us proud, folks! oops I thought someone just left this base adrift. Anyways congrats and make me proud as this is my new home base since I go where RI goes. 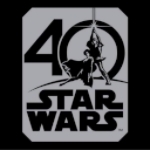 Nice logo, and congrats on the new base, and please give my regards to the Griffin family, or better yet, give them Honorary Member status for their roles in "Blue Harvest". BTW, how are other RL members supposed to find you if you don't show up in the Archive maps? You'd be surprised how often I'm asked where Quahog, RI is. "Yes, really. A quahog is a clam." Silly, just ask any youngling and they'll point you right over to our locale. And if you find us in time, drinks on landing pad 15, Rave in the Clone training area and fresh sushi in the command lounge. So were is Quah....oh, nevermind. LOVE the logo! Congrats and get ta work on patches and merch!! You gotta wait a year. Rules are rules. So no one post in the incorrect base info page. We know it's wrong! I'd like to be the first to request a Kamino Base member signature image from ya, Matt. 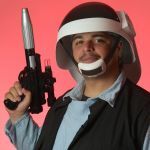 Jedi Master Justyn Ma'Ning of Outbound Flight by Timothy Zahn- Charity fundraiser "walk on role". Posted my info in your sig thread. Whew! - Been holdin' that in for a while now! People really think Quahogs is a place? You're kidding right? We need a Kamino-Que, immediately.